EVO 7~9 HOTSIDE PIPE. $180! Limited stocks. Latest Delivery of EVO 7~9 HOTSIDE PIPE! LATEST UPGRADE! 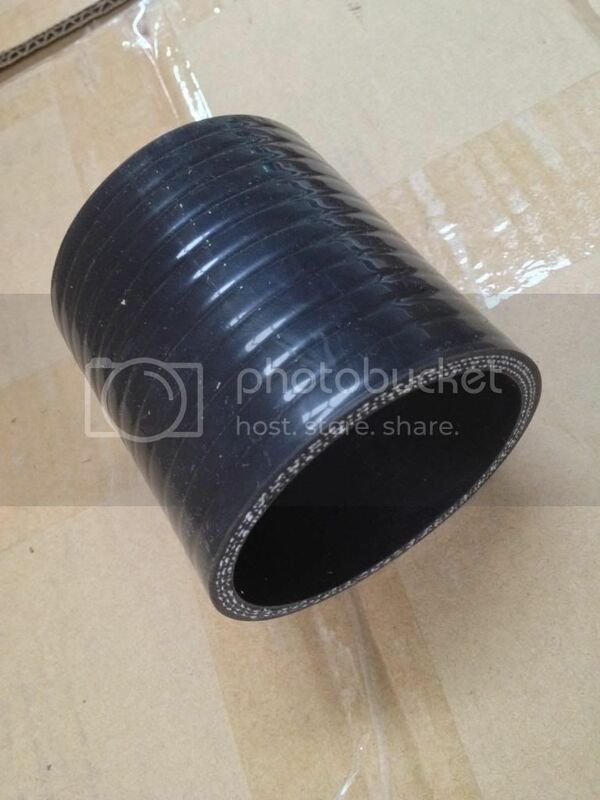 Our HOTSIDE has the 2 flexible brackets as stock pipe for secured fitment. Our Silicone reducer hose is made with 5 layers USA DowCorning silicone material with life-time warranty from manufacturing defects! $180 plus postage cost. More than a hundred is SOLD in Australia! Average cost to NSW is $20 for registered post. $25 for Brisbane and more for outskirts QLD. SIMPLE but EFFECTIVE upgrade to the restrictive stock pipe. PM me your orders, limited stocks! Looks like a great bit of kit - looking forward to getting it on. Thanks for all your help with it. Pleasure to deal with you. Will be back for more in future. So this bit of kit doesn't include the bit that bolts to the turbo? Is there much of a gain to be had without that bit? Wow good price! Have one of these and they're great! The Part that bolts on to the Turbo is call the TURBO OUTLET PIPE. A very short pipe compared to the HOTSIDE pipe. The DIFFERENCE the hotside pipe, being a larger diameter in overall length than stock DO MAKE a larger difference. Thanks to Ivan for mine, good fitment and fantastic prices. do u have cold side piping? 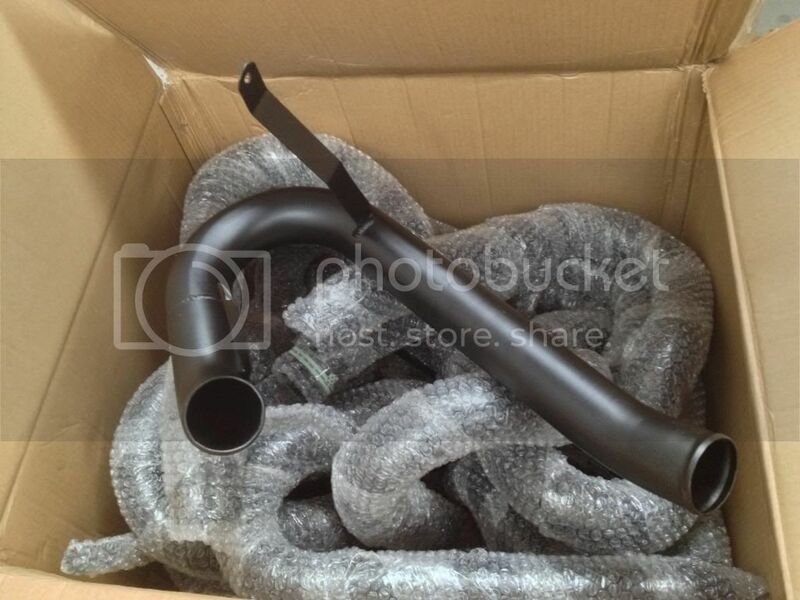 YES, I do, in BLACK for the EVO 7 & 8 and POLISHED for the EVO 9 having a different top pipe. You can use the EVO 7/8 model on the Evo 9 but need to plug one small outlet. Price is $280 for the COLD side plus freight. SPECIAL price if you have already bought the HOTSIDE pipe from me before. PM me for the special price. Please PM me your orders, last 2 in stock only. NEW STOCKS are 6 to 8 weeks away. can't get polished cold side for evo 8? mmmm, wat am i loosing out on by keeping the same turbo outlet, yet getting this pipe??? POLISHED is ONLY for the EVO 9, unless you are not running the EGR setup. With regards to the LARGER than stock turbo outlet, I have NOT done any measurements, but simple length measurement of the outlet is about 150mm. This would be the difference of the outlet being enlarged to 2.5" or in my kit, the silicone hose being 150mm downstream of the flow. The HOTSIDE pipe plus intercooler plus coolside pipe would be a lot longer than this 150mm. My 2 cents worth. ONLY 1 in stock now. anything in the mix for cp9a's? YES, next month I will start with a full intercooler custom fitting. We do have a kit, but needs to be improved. recieved mine today, is it easy to install once the fron bar is removed??? Once you get the bumper OFF, just loosen the clamps of the hoses on the TURBO outlet and the intercooler. Unbolt the 2 bolts that holds the stock hotside pipe, and remove it. INSTALL is best to first fit in the taper elbow hose to the turbo outlet pipe, with hose clamp in the position that you would like to tighten it later. Also install the straight hose onto the intercooler with the hose clamp on. PUSH in the hotside pipe on the both ends. Bend the 2 brackets to bolt on. Tighten all clamps and you are done. all done, nice and light isnt it! breaths easier, and more responsive. it is very important though to get the silicon joiner (see second pick of ivans original first post) as far as u can over the turbo outlet and as far as possible over the hoside pipe. 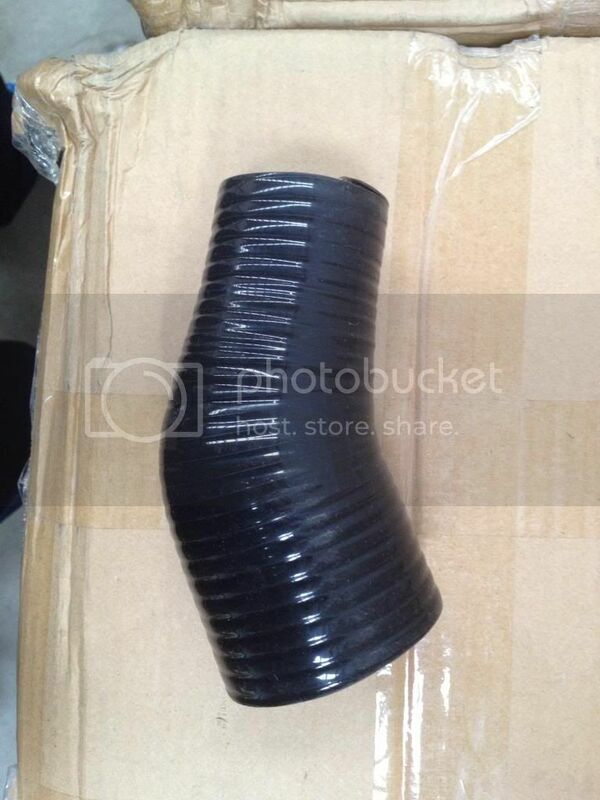 any bend in the silicon will disrupt airflow and defeat the pupose of having this pipe. If you are after the short STEEL pipe that bolts to the TURBO, SORRY, I do not make this as our taper is designed into the hose that connects to this. Could you pm me a price for hot and cold side piping delivered to joondalup Perth wa 6027 Ivan? YES, just PM me when you are ready. Hi Ivan, this may be a stupid question but, Will this fit on an evo 8 with an evo 9 turbo? I will have an evo 9 fitting kit which comes with the evo 9 turbo outlet. NOT STUPID, but actually a SMART question. I always believe it is WISER to ASK than to ASSUME you know or sort of know. YES, the HOTSIDE PIPE is the same for EVO 7 ~ 9. The difference is in the turbo and thus when upgrading to a evo 9 turbo or similar aftermaket 20G/25G, you will need the install kit which has a different turbo outlet. The end of the turbo outlet that joint to the HOTSIDE, will then be the same for all. BTW, sold out till new delivery in early NOV. Thanks Ivan, Thats ok works out well because Im not quite ready to buy. INSTOCK NOW! NEW MATT Look...with our usual super 5 layers silicone elbow to the turbo outlet and 4 layers silicone hose to the intercooler. installed mine today, very easy to install with original bracket positions. didnt notice a lot of difference im hoping the silicone reducer is on all the way home coz it wouldnt go any further, none the less im much happier that i have that restrictive standard one off. once again props to Ivan on customer service and knowledge. any pics of this fitted? ^ +1, keen to get some lovely matte hotside all up in this engine bay! also keen for pics! coldside aswell..
Coolside is as on page one of this listing. COMPLETE kit is $380 plus freight. I will try to get some photos of installed kits. BTW, Over 100 kits has been sold over the past 5 years, under X3E brand the past 3 years. Previously thru a dealer that charged $650 for this kit!